Jack was successfully added to your team. 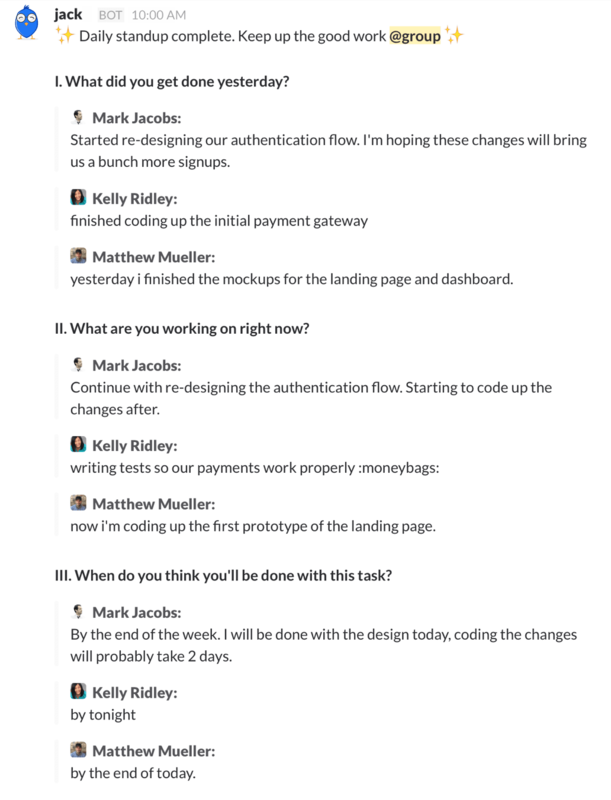 Catch you on Slack! There was an error adding Jack to your Slack. Second time’s a charm? Jack helps you plan your day and keep your teammates in the loop. 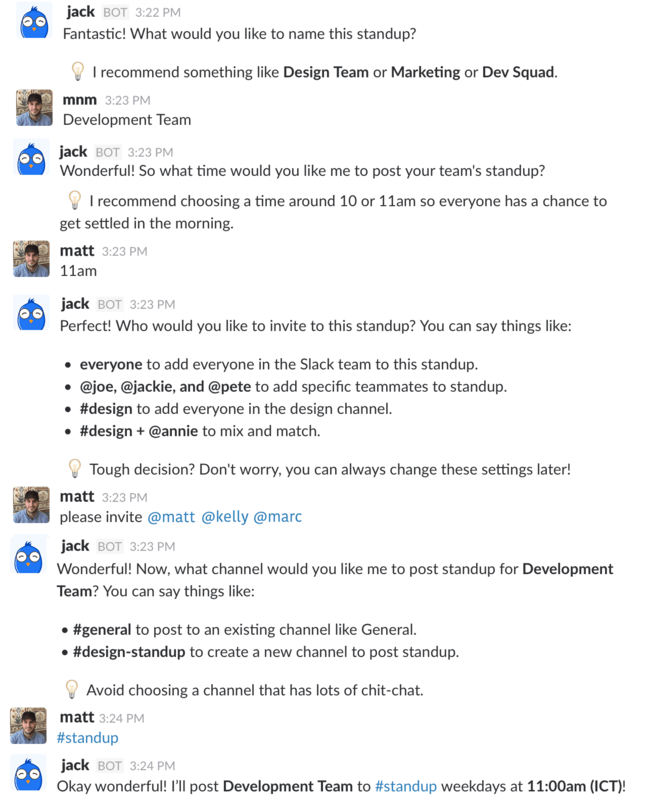 Once you add Jack to Slack, he will ask you what time you want to have standup, with whom, and where to post the updates. Jack will then introduce himself to each teammate and ask them to pick a time that works best for them to give their update. 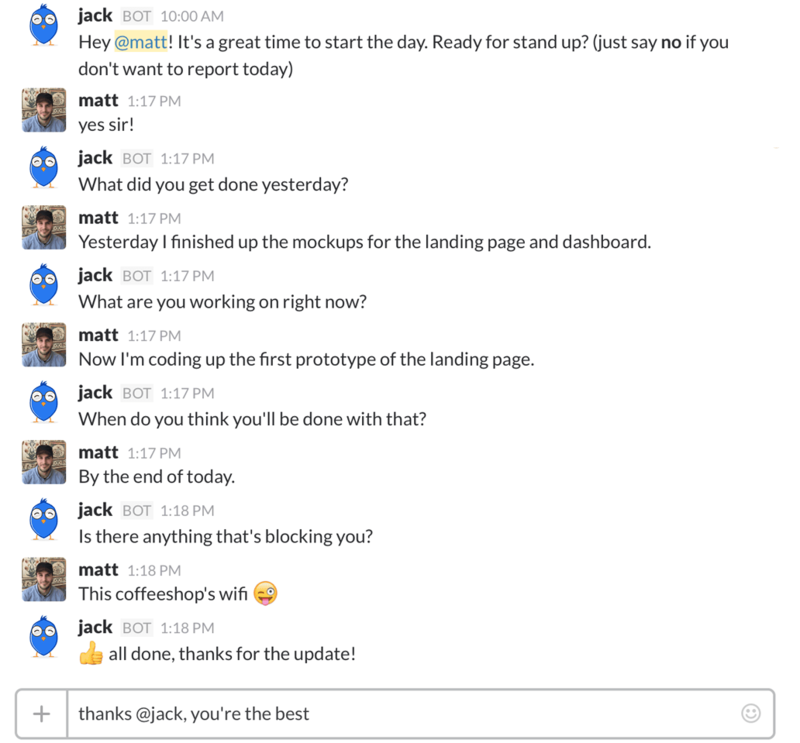 Jack will message you at the time you picked and ask you a few questions. These questions are designed to help you stay on track and let your teammates know what you're up to. Every weekday at the time you picked, Jack will post everyone's responses to the channel you chose.